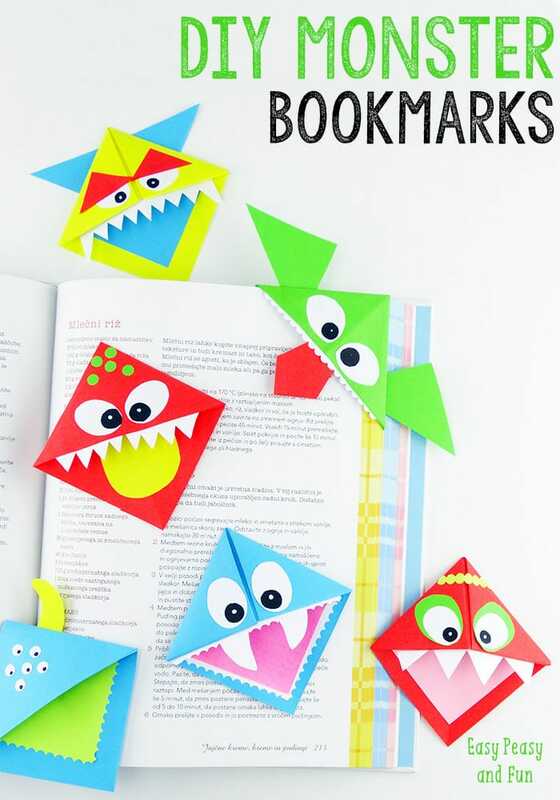 Books will be a whole lot more fun when your kids make their own cute monster DIY corner bookmarks! 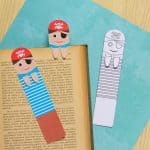 Aren’t these just the cutest thing ever ? 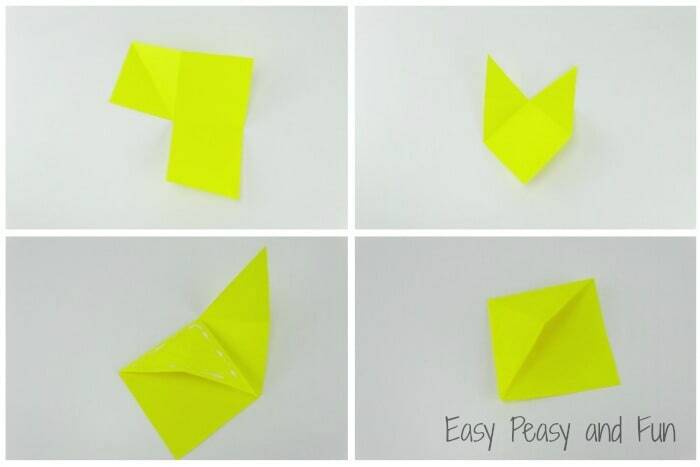 This is also a great beginner origami for kids! 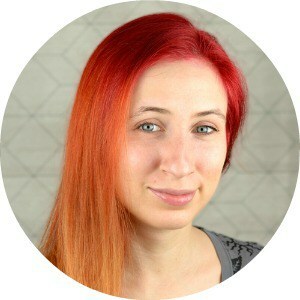 The inspiration for this one comes from this pin on Pinterest (I really tried to find the original source but failed). 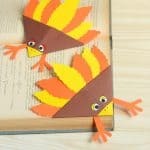 When I saw this Pin it brought back memories as we used to do these with my mom when I was a kid – they weren’t as cute though and we used junk mail. 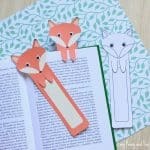 Now there’s actually two (probably more to be honest) ways to make these – one super easy as you’ll see in the photo tutorial here and one just a bit more difficult – not too much though – as you’ll see in the video folding tutorial bellow. 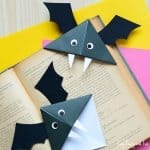 You will need a sheet of paper (preferably origami paper), scissors and decorations and glue to make the monster or any other creature your heart desires. 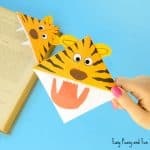 Start by folding the paper in half . Fold the left and right corner to the centre point. Cut off the excess part and cut through the middle so that you get two triangles. 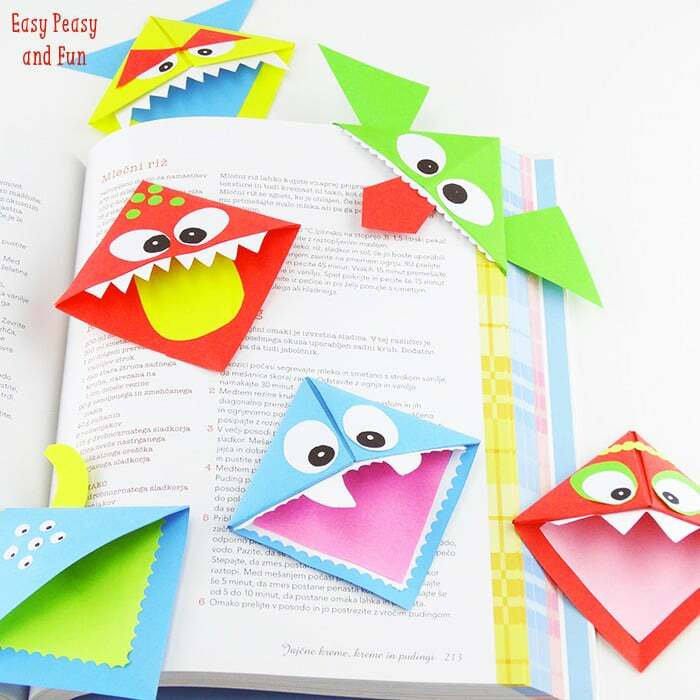 Unfold them – you’ve gotten yourself two squares that will soon turn into two monster bookmarks! 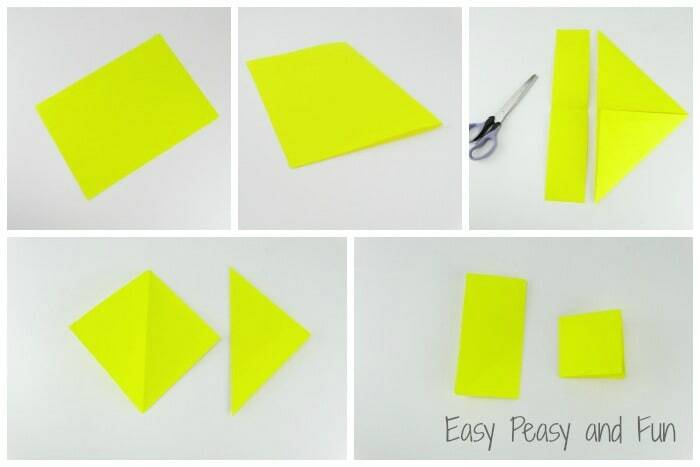 Fold the square in half – you’ll get a rectangle – fold in half again and you’ll get a smaller square. Unfold it. As you’ve unfolded the small square you’ll see 4 small squares inside the unfolded square – cut one out as shown on the picture bellow. Now cut the adjacent two squares from the one you’ve cut out as shown on the picture (diagonally through the square). 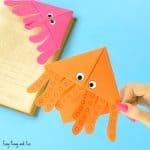 Fold the little triangles inward – apply some glue to the inner one and you’re done! 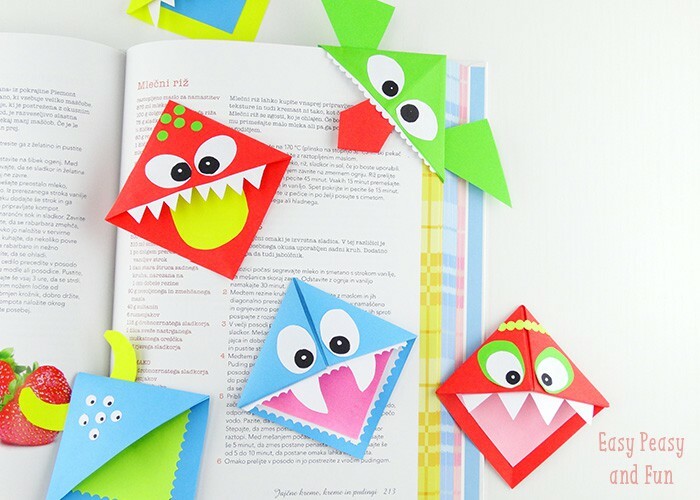 Well all that’s left to do is to cut some eyes, tongues, teeth, tentacles, horns… And glue them onto your monster! very nice for schools and etc but avery perfect……………….